A little bit different… but that’s not bad, right? Citroen has always been something of a guilty pleasure of mine… I know they haven’t always had the same name for quality, precision engineering and style as some of their European compatriots, but for me there’s always been something reliable about them… something that’s proud to stand out as alternatively styled. I’m not sure where this preference stems from but it’s quite possible that it’s because we used to have Citroens as family cars when I was growing up. Whatever the reason, when they originally came up with the DS range, I was instantly taken. I liked the alternative design, the quirkiness, the fun. So when it came to look France-wards for a review, I was more than happy to take delivery of a newly spun off DS5. 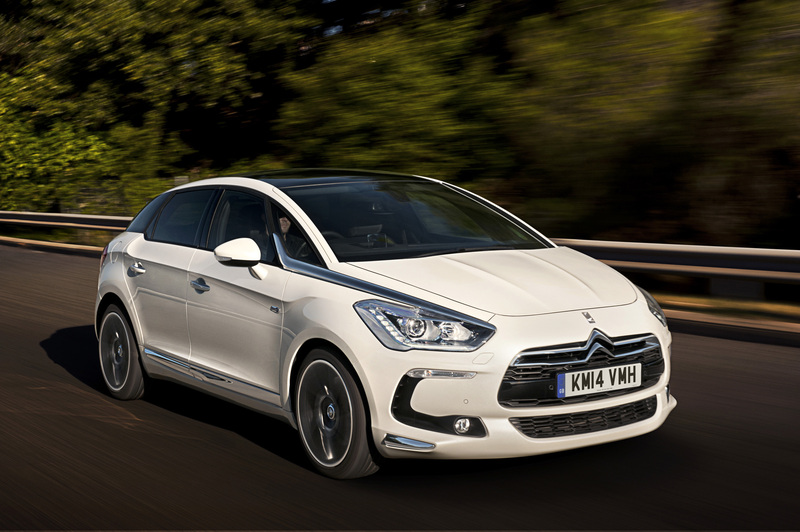 Make no mistake, this is no longer a Citroen sub-brand – it’s a manufacturer in its own right. In fairness (and contrary to all expectations) the kids were fabulously behaved. And the car was a dream too. Let’s start with the styling. It’s not to everyone’s liking – my wife wasn’t that fussed, but I get it. It’s different… that’s kind of the appeal, to me at least. Everything about this car is not quite what you’d expect… there are angles on the bodywork that aren’t quite where you’d expect them to be, everything is a little bit different, a little bit unexpected. And I liked that. It wasn’t just the outside that was different though, those design elements continued inside. The gear knob, the control dials, everything was well designed, with the exception of one thing… one thing in the car that annoyed me. The steering wheel. It. Was. MASSIVE. Not a problem in the big picture, but annoying when everything was so well designed – panoramic sunroof (sorry – cockpit roof) with aircraft style toggle switches which felt great when flicked – very ergonomic. Other than the design and the overly large steering wheel, the car was good. I’d heard mixed reports about the diesel engine, but I found it to be good. responsive, quiet and smooth, with a decent gearbox to match. But where I think it really lived up to it’s quirky yet functional design was with the headlights. I know that headlights are a strange thing to think about, but they are linked to the steering, so when you turn a corner, they steer and point in the direction you are travelling, rather than the direction the bonnet happens to be facing. It’s a small difference, but something that makes a lot of sense. And what’s odd is that Citroen first came up with that design element decades ago – in 1967 with the Citroen DS (maybe that’s why they brought the function back) but that begs the question of why did they forget that function for so long? Who cares. They remembered it, and the car is fantastic. I love it and I love that it’s different. Would I buy one? Actually, no… I love nearly everything about it, but I think the steering wheel, for me, is a deal breaker.